I say it every year, but there’s really no doubt — 2007 is bound to be the best year ever. Any day know the NEW new beginning will be upon us with the announcement of Barack Obama‘s run for president, da Bears are in the playoffs and as far as the Cubs are concerned, after 99 years, I’m thinking Next Year is Here! Here are a few photos from my New Years commemorations. As can be seen in the flickr slideshow below, a hot date to the Flaming Lips / Gnarls Barkley / Cat Power blowout at the new USC Galen Center was followed up New Years morning by my first trip to the Rose Bowl with my Dad and brother-in-law, to witness the Trojans (who I’m supporting w/ my grad school tuition) clobber the Wolverines (pops’ alma mater and the second sports team I ever saw in person –after the Cubs). Highlight of the Lips’ set was a killer spot-on cover of Queen’s Bohemian Rhapsody — second song of the set. Click here to see 4 minutes of it. More from the show on YouTube: Flaming Lips, Gnarls Barkley, Cat Power. Here’s to a happy 2007 — the best year ever?!?!? Why Does President Bush Hate the Cubs? Not long after repeating statements attributed to Osama bin Laden in an address on the “Global War on Terror,” President Bush welcomed members of the St. Louis Cardinals to the White House. I was shocked to hear that Bush repeated the name of the still-at-large al Qaeda leader no less than 17 times in a 45 minute speech — apparently losing sight of the fact that bin Laden is only happy as a Hitler to have his rhetoric repeated and disseminated by the man who put a $50 million price tag on his head. I’m surprised the president didn’t slip during his speech and warn the National League of an imminent threat should Osama bin Laden himself buy out the Cubs from the Tribune and re-stock their pitching staff and lineup accordingly. While Bush seems to have already forgotten about recent Supreme Court demands on the executive branch to curttail domestic surveillance and examine the use of military tribunals in breach of Geneva Conventions in a more conventional sense, his lord only knows how happy he is to find that the true saviors of the universe — the Chicago Cubs — have fallen into last place. As if it’s not already the greatest day in a horrific year of being a Cubs fan (after the 4-game weekend sweep of the Cards), GM Jim Hendry completed a couple moves at the trade deadline to significantly brighten up prospects for next year and beyond. The Cubs parted with 327-game winner Greg Maddux to the faltering — but still not out of the weak NL West race — Dodgers. In return, the Cubs get a few million bucks, and 2005 All Star Cesar Izturis, who is still getting his groove back after off-season Tommy John surgery. This solidifies the Cubs infield for years to come, with Derrek Lee at first, Izturis at second, Ronny Cedeno at short and Aramis Ramirez at third. Izturis, originally a shortstop, was platooning at third base and in the outfield after coming off the DL this year. I find it hard to believe that the Cubs would be willing to move Cedeno — who has been mopping up as starting campocorto (SS) all season. The Cubs also dealt veteran 2nd baseman Todd Walker, opening up the infield slot for the speedier and better fielding Izturis. In doing so, they acquired the pitching gem of the San Diego Padres farm system, Jose Ceda, a Dominican power-pitching right-hander who has torn up the Arizona rookie league. By sending Maddux — a 40-year old with an expiring contract after 2007, and Walker — whom the Cubs have been willing to deal for two years — to two teams struggling to steal a title in a division in which it may only take 80 wins to do so, Jim Hendry pulled yet another coup in his GM stint. Additionally, picking up Ceda helps beef up the Cubs pitching prospects, after they sent stud rookie Ricky Nolasco (who tore up AA for the Cubs last year) to Florida during the offseason in favor of the STILL unproven and running out of time Angel Guzman. Nolasco, by the way is the second stud pitcher we gave the Marlins in favor of Guzman, the other being a lefty named Dontrelle. 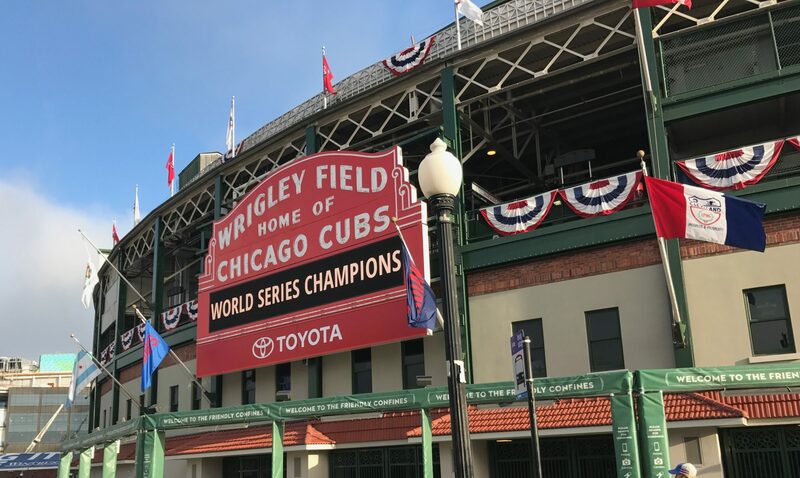 For more Cubs commentary — see my ‘next year is here’ links on my blogroll. Full details and insight on a rambunctious day of wheeling and dealing through MLB can be found at MLB-content & blog aggregator Ballbug.